On Friday, January 4, 2019, Hattie Mae Miller Dow, heard her Master's call at McLeod Health Clarendon. Born on December 8, 1952, in Manning, she was a daughter of the late Thomas & Agnes Montgomery Miller. The service celebrating her life will take place on Friday, January 11, 2019, @ 11:00am from the Rock Hill Missionary Baptist Church, 6569 Old Georgetown Rd., Manning, where the Pastor, the Rev. Dr. Leon Winn, will bring words of consolation. The service of committal will follow in the family plot located in the Rock Hill Missionary Baptist Church Cemetery. Public viewing will take place on Thursday, January 10, 2019, from 4:00pm-7:00pm at the Fleming & DeLaine Chapel, 222 West Boyce Street. 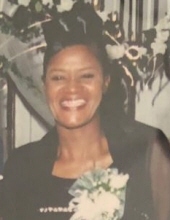 The family is receiving relatives and friends at the residence of her son & daughter-in-law, Michael & Falecia Snider Miller, of 3156 Durant Lane, Jordan Community, Manning. To send flowers or a remembrance gift to the family of Hattie Mae Miller Dow, please visit our Tribute Store. "Email Address" would like to share the life celebration of Hattie Mae Miller Dow. Click on the "link" to go to share a favorite memory or leave a condolence message for the family.